M6-30. Exceptional location for this Loft on the 5th (top) floor of a high-standing residence with escalator. 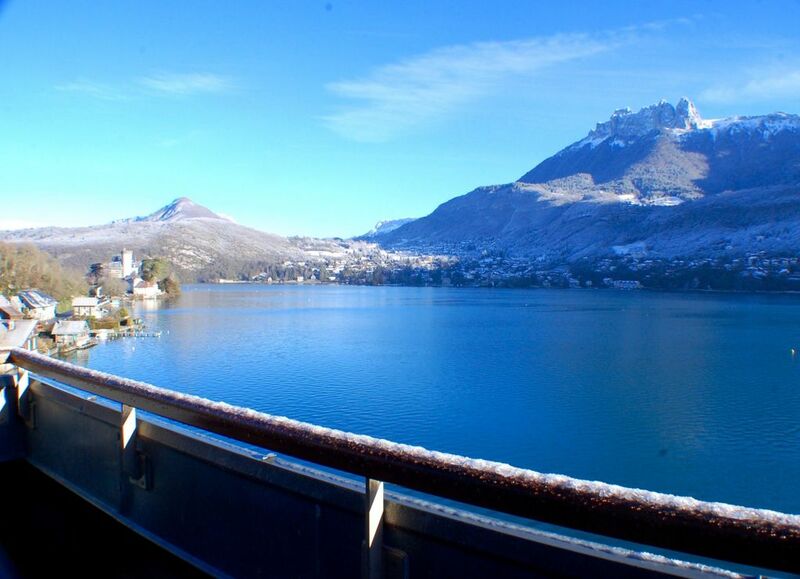 Beautiful 85sqm loft with outstanding view on Lake Annecy and mountains. - Comfortable and well equipped with a balcony with panoramic views of the mountains, Lake Annecy, and the famous Duingt castle. The location of this beautiful apartment is second to none. there is balcony on which you can have your breakfast with breathtaking views accross the lake to the mountains. Its spacious, stylish and well furnished. Downstairs there is direct and private access to the lake, you can literally dive off the steps into the lake. What a treat on a hot day! We would most definately go back. The net curtains in the apartment tend to get blown out of the doors onto the balcony, more of an annoyance than a problem though. La vue sur le lac et la situation au bord de la piste cyclabe. Les emplacements pour ranger les vélos à l'extérieur étaient complets. En haute saison, il peut en effet être plus compliqué de trouver de la place pour les vélos. Fabulous apartment by the lake. Great light and loads of space. Sophie and her team are amazing and made our stay really great, we'll definately be back.